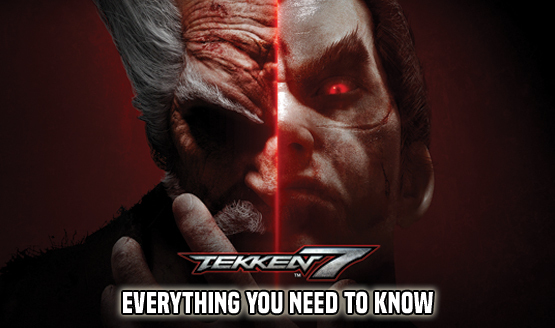 Tekken 7 update 1.02 is now live in Europe for PlayStation 4, Bandai Namco has announced. It should be out by the end of the week in North America (update: it’s live in North America), and Xbox One and PC patches are expected to hit next week. With 1.02, the development team has improved the Online Matching Functionality by removing player information displayed before a match such as character selected and wins. Additionally, the Matchlist has been temporarily removed to help with online matching. The MATCHLIST has also been tentatively removed to improve online matching functionality. We’ve added an ON/OFF feature for voice chat: ON/OFF for voice chat added to OPTION menu. Set to OFF as default setting. Nina’s Ivory Cutter attack properties. The first batch of Tekken 7 DLC is expected to hit this summer, and it will include a brand new game mode and 50+ new costumes.